Home > Nintendo Switch > We have a release date for Code of Princess EX! We have a release date for Code of Princess EX! Nicalis, the publisher of many fine indie titles, has today announced a release date for its upcoming Code of Princess EX on Nintendo Switch. We'll be playing it on July 31. 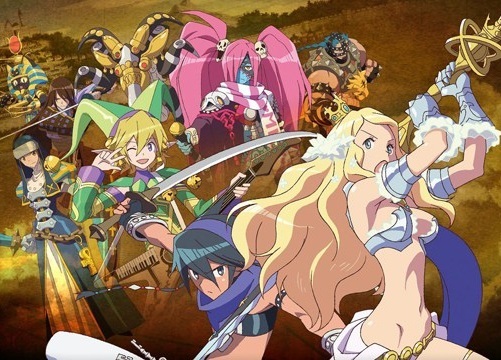 The main storyline in Code of Princess EX focuses on Princess Solange of DeLuxia, who is thrust into the role of guardian and protector of the legendary sword DeLuxcalibur after her family’s castle is overtaken by a siege of rampaging monsters. Venturing out beyond the castle walls, she soon discovers that the monster onslaught has blanketed the entire kingdom with terror and oppression. As she fights to restore order, Solange selectively recruits a diverse team of powerful and agile combatants in an attempt to bring peace to the land. By the end of their journey, players will have accumulated a cast of over 50 different playable characters, each of whom can be leveled up to enhance their abilities in six different categories. This wasn't a game I got along with so well on the Nintendo 3DS, though I feel many of the issues that I had with it have more to do with the limitations of the hardware for this kind of game, rather than the game itself. Regardless, I am very (very) keen on giving it a whirl again, because the HD version of it really looks lovely.